We stock a full range including Fire / Flame Retardant Poly Sheeting and Rolls, Black Polythene, DPM Damp Proof Membrane Films, Visqueen, Megafilm, Tuffreel, Virgin Grade, Recycled, Reground Material, Centre Folded, Multi Folded, and so much more. We can manufacturer to your exact specifications and all our prices are unbeatable! Our Polythene is manufactured right here in the UK. Our Flame and Fire Retardant Polythene conforms to LPS 1207 and the LPCB Building Regulations. 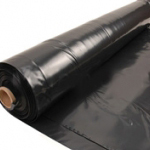 Uses include Temporary Floor Protection, Packaging, Damp Proofing and much more. Call 01268 768 768 now to discuss your requirements!